What happens first to the person arrested? Don’t be scared. The person arrested is being accused of a crime and their innocence or guilt does not matter at this time. They will be transported to and processed into Jail. The person in Jail is called the Defendant. 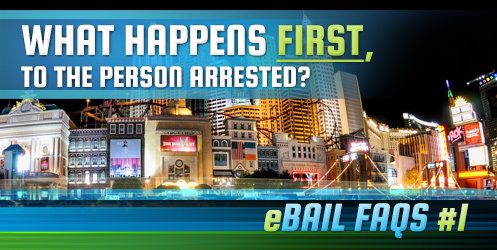 There are four Jails in the Las Vegas and surrounding area. Clark County Detention Center also known as County Jail or CCDC, the City of LV Jail also known as City Jail, North Las Vegas Detention Center and Henderson Detention Center. Don’t bother calling the Jails, you could be on hold for up to 30 minutes just contact eBAILs friendly staff and we will find your friend or loved one and all the pertinent information to get them out. What happens once in Jail? The Defendant is processed (booked) into Jail which usually takes a few hours. Once processed in, their accused crime, also known as charge(s), and their Bail Amount is made available. At that time the Defendant will be able to make free phone calls and call someone to “bail” them out of Jail. 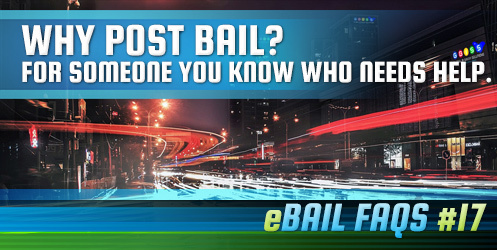 As soon as you know that your friend or loved one got arrested contact eBAIL. We will find out which of the four Jails they are in and what the charge and bail amount is. Let us do all the work. 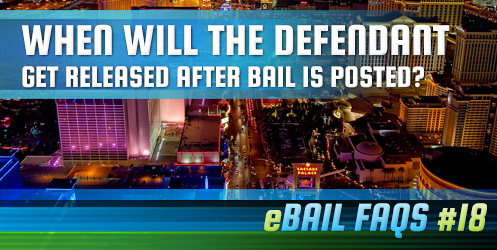 Bail means that money, or some other form of property, is pledged usually to a Bail Bonding Company for the temporary release of the Defendant from Jail. The Bail Amount is set by the Jailor Court depending on the alleged crime committed. 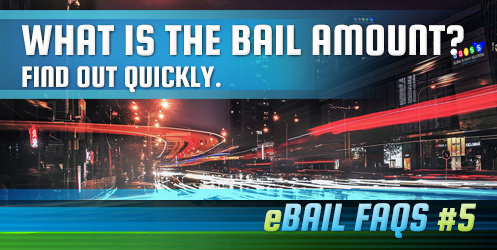 For example, The Bail Amount for a DUI is usually $3,000. 1) You can go directly to the Jail and as in the above example pay $3,000 to the jail. 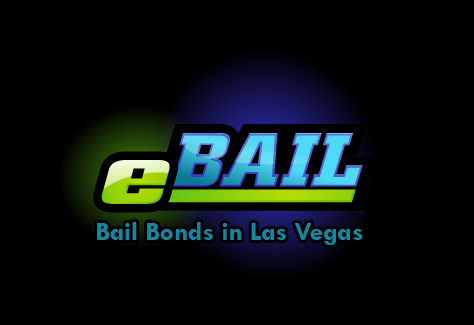 2) You can hire a Bail Bonding Company and pay only a small percentage of the $3,000 (that percentage is 15% as per Nevada Law or $450 as in the above example). 3) You can leave them in Jail until their court date which is usually within 72 hours. A Bail Bond is a contractual process where the Bail Bonding Company, through a cosigner, guarantees the payment of the Bail Amount to the court if the defendant fails to appear on their scheduled court date. In the above DUI example that Bail Amount is $3,000. 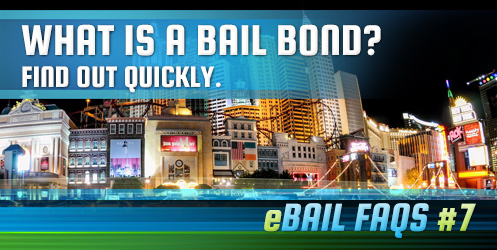 You hire a Bail Bonding Company and during the bail process a Bond is issued which is like a “check”. The Dollar amount on this “check” is the full Bail Amount (in the above DUI example the “check” would be $3,000). This “check” is then given to the court and only cashed if the Defendant fails to make their court appearance. However, before this “check” is cashed the Defendant is given the chance to re-schedule for a new court date and stop the courts cashing of the “check”. If a Defendant misses a court date a warrant will be issued for their arrest. To resolve the warrant, the Defendant can have their attorney file a motion to quash the warrant and get a new court date. A lot of times, the Defendant themselves can go to the court directly and squash the warrant and schedule a new court date. Scheduling and appearing for a new court date will stop the court from cashing the “check”. If the arrest warrant is not resolved in a timely manner by the Defendant or their attorney, a Fugitive Recovery Service will be retained to return the Defendant to Jail and the cosigner will be responsible for all applicable fees. 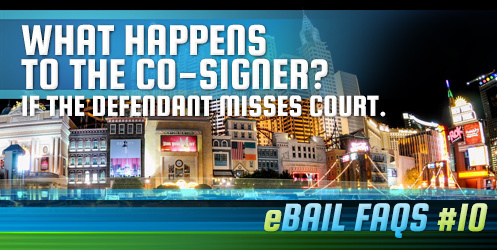 The co-signer is responsible to pay for all fees and also the full Bail Amount in the event the defendant disappears and is never found again. In the above DUI example, the cosigner would be responsible to pay for the fees and also the $3,000 Bail Amount. 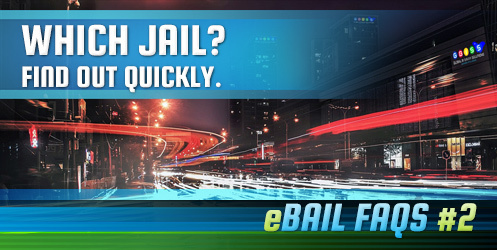 What is the fee for using a Bail Bondsman? 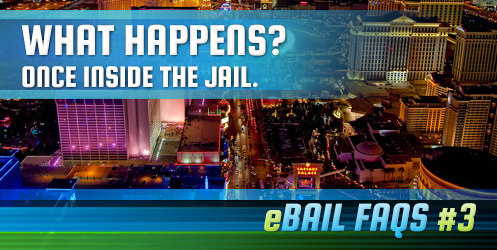 The State of Nevada as per Law, NRS 697.300 sets the fee (also called a premium) at 15% of the Bail Amount. In our DUI example from above, the Bail Amount is $3,000, so the required fee you have to pay is 15% of the $3,000 which is $450. Is the 15% fee refundable? 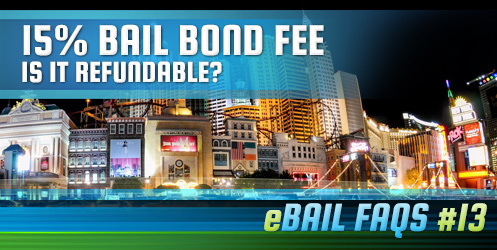 Once the bond is posted with the Jailor Court the fee is non-refundable. What if I don’t have the full 15% fee right now? Don’t worry. 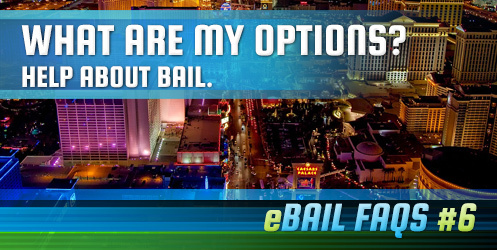 eBAIL guarantees financing and will work with you to create an easy payment plan. 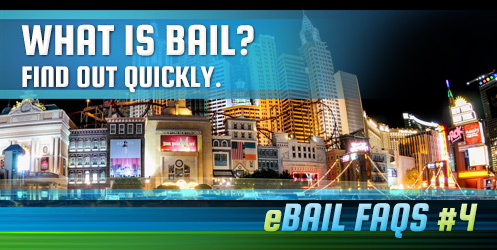 eBAIL accepts all types of payment such as cash, checks and credit cards in person, over the phone or on our website. 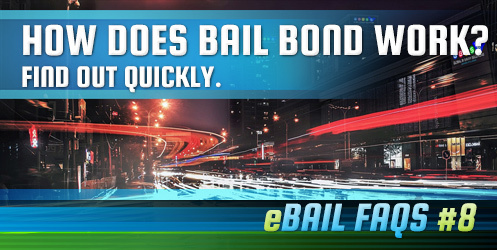 In some instances, eBAIL will provide 100% financing if sufficient collateral such as personal property, real estate, vehicles, titles etc is/are pledged or a good cosigner is involved. 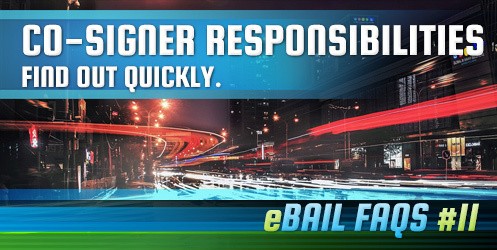 Most of the time clients just bring their car title for eBAIL to hold until all obligations are fulfilled. 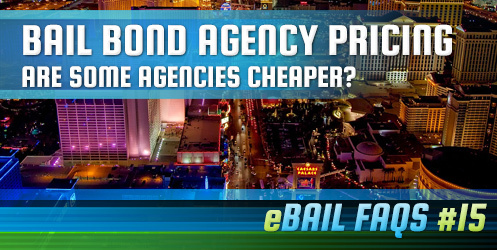 Are some Bail Bond Agents cheaper than others? 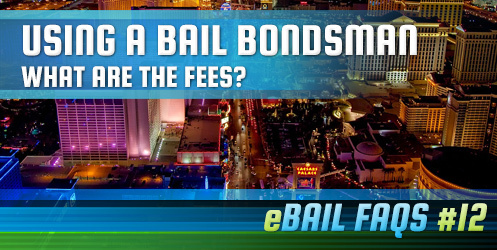 Because the bail fee (premium) is set by the State at 15%, all Bail Bond Agents have to charge the full 15% as a matter of law (see Nevada State Law NRS 697.300). In almost all cases where a Bail Agent offers a reduced rate, the Agent is not a licensed bondsman or is acting deceptively. For your protection and the defendants, you want to avoid this type of scenario. 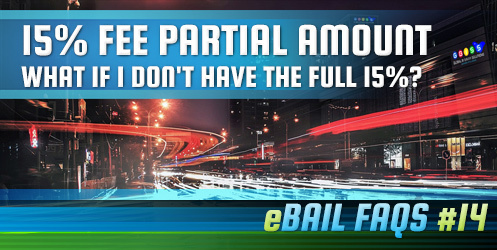 eBAIL will work with you and guarantees easy financing of the required 15% fee. 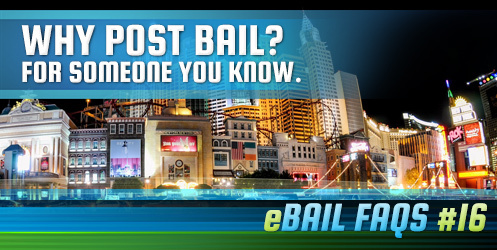 eBAIL is licensed, bonded, insured and also a member of the Better Business Bureau. 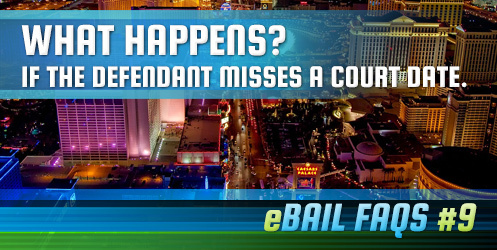 Posting Bail allows a defendant to be free prior to their court date. There is no disruption in their life and they can return to work, adequately prepare for the court dates and also change the court dates to suit their schedule. If no bail is posted, the defendant will appear on the court set court dates in prison-issued clothing and handcuffs. Most of the time this will imply to the judge and jury that the defendant is already guilty or acclimated to the prison system reducing their chances of a successful outcome. However, a defendant on bail can reschedule the court dates, wearing their own appropriate attire and therefore minimizing any undue bias. Once the Bond is posted the process for release has started. This process depends on the Jail and usually takes 4 to 12 hours or sometimes more.